Just what you have been searching for! These breathable and comfortable liners are the perfect everyday choice for your footwear needs. 3 Silicone strips helps keep the liner in place and from slipping off your heel. Breathable: Mesh knit creates maximum airflow to keep your feet cool and dry. Feature: The socks are antiskid,3 Silicone strips at heel. 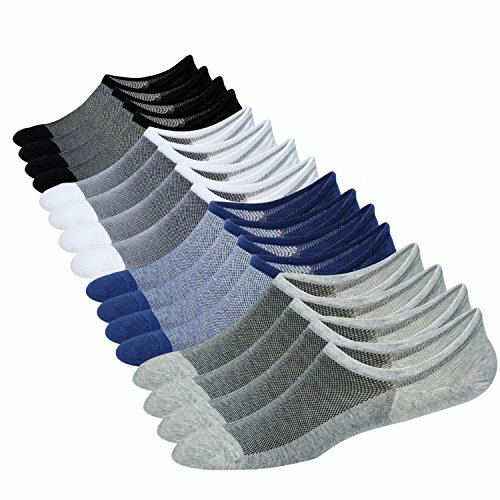 Combed cotton material make socks more durability,comfortability and moisture-wicking. Colors are a good match for all your sneakers, boat shoes, loafers,flats etc. SIZE: Fit US Men shoes size 10-14 (EUR 44-48). This "no show" socks is for sport shoes and most casual shoes, if you wear boat shoes or other very low cut shoes , this socks will not be "no show ". View More In Casual Socks. If you have any questions about this product by Jormatt, contact us by completing and submitting the form below. If you are looking for a specif part number, please include it with your message.